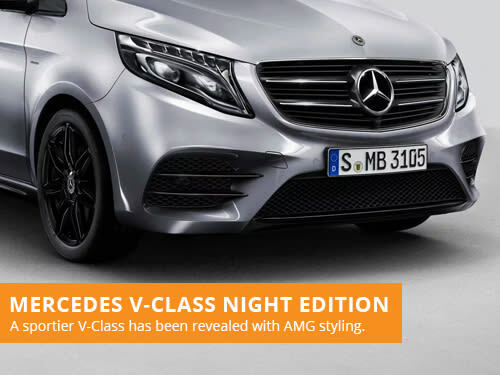 Prior to the next-generation V-Class is revealed, Mercedes have released a new variant of their people carrier with sporty exterior styling cues. Mercedes announced that they will offer a new Sport Line trim on their Mercedes Vito van, with a new dynamic and attractive look. Mercedes Benz Vans have released a final teaser video prior to the full reveal of the 2018 Mercedes Benz Sprinter on the 6th Feb.
Mercedes Benz Vans have fully unveiled their next-generation line up of Mercedes Sprinter, here is the need to know information. Mercedes-Benz revealed the interior of the 2018 Mercedes Sprinter, featuring some advanced technology, seen for the first time.